I almost pulled my graying hair out today over an email…yet another “writer wanted” pitch that totally missed the point. The sender was looking for someone who’s an “absolute expert” in guitars to write content for their client, a guitar manufacturer. And what made me crazy is the realization that almost everyone has accepted as gospel truth the notion that brands need content writers who are subject-matter experts. That’s one of the downsides of social sharing — it makes it easy to pass on information without pausing to question its validity. Next thing you know, something becomes a “best practice” not because it’s true, but because so many people say it’s true. That’s what’s happened with the the whole subject-matter expertise issue. 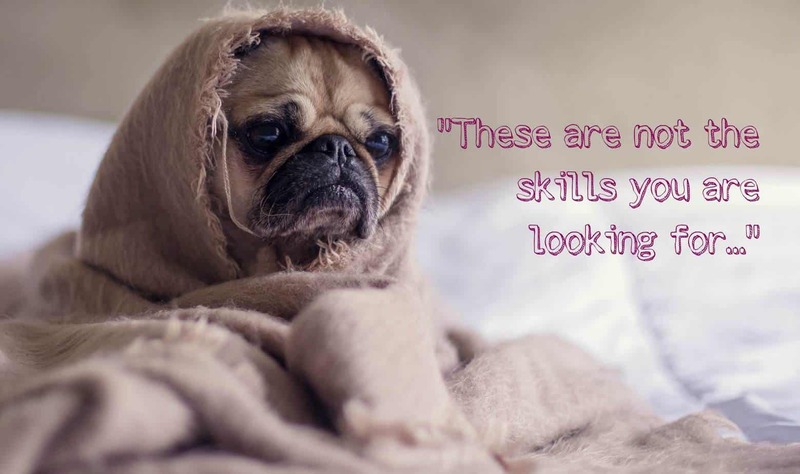 That myth grew out of advice for content writers, suggesting that they could command higher rates with subject-matter expertise. Something that was intended to explain why it was important for writers to specialize became accepted as a best practice for brands, too. That false assumption is doing a disservice to writers, brands, and the customers they all serve. So gather ’round, folks: I’m about to call out the emperor for being naked. Fact #1: Google is real. 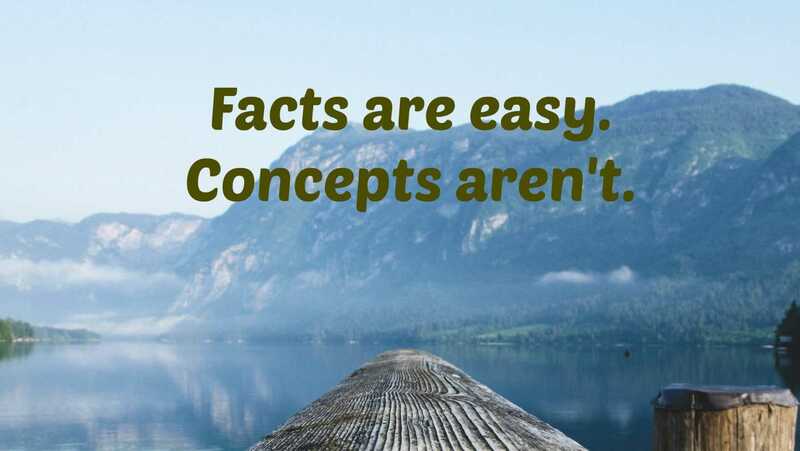 Fact #2: Facts may be easy, but concepts aren’t. Finding out how many devices will be connected to the IoT was a piece of cake. You know what’s harder? Understanding the big picture enough to anticipate why that will matter. What impact will this huge amount of data will have on the technology infrastructure? Will connection speeds be affected? What impact will it have on personal privacy? Will it be opt-in or opt-out? And what are the ethical considerations? Will auto insurers, for example, be able to pay the folks who program collision-avoidance systems to rig things in their favor? You don’t necessarily need a writer who has the answers to these questions, but you do need one who understands the big picture enough to ask them. And that takes contextual expertise rather than topical expertise. Fact #3: Most of the time, concepts matter more. Target audience: Tweens who do not currently play the guitar. Purpose: Pique their interest. This is one situation in which you might actually want a writer who plays the guitar. Thanks to Google, I could probably develop step-by-step lesson plans. What I couldn’t do is explain how it feels to play the guitar: how it affects you emotionally, what it’s like to have people clapping for you and asking you to continue, etc. That’s the kind of thing you can’t learn from a search engine. Target audience: Existing guitar players. Purpose: Explain why your guitars are better than the other guy’s. If you want a first-hand product review — sure, find a guitar player. If you want an engaging but factual discussion of how different types of wood can affect sound quality, you’d be better off with a writer who knows that, while you want to provide useful information, you also want to drive sales. A writer who understands both your market position and that of your competitors and who can use that knowledge to position the facts in the way that will be most beneficial to your goal. A writer with halfway decent research skills could probably have a basic understanding of how each type of wood impacts sound quality within 15 minutes or so. But it would take a lot longer to grasp the business implications of those differences, and that big-picture understanding is essential for creating copy that gets results. Target audience: Retailers. Purpose: Explain why prices are going up. While an expert guitar player might have a strong preference for a certain type of wood — and even know why they prefer it — that doesn’t mean he understands the value stream behind that wood. He may not understand how the Lacey Act affects the cost of sourcing, or how tighter federal requirements for documentation on the contents of containers are driving up the price of shipping. And he might not know how to repurpose those facts into a “bonus” for retailers, giving them language they can use to explain pricing changes to their own customers. Some writers might be able to get up to speed on that in the five seconds it took me to research the number of devices on the IoT, but I’m not one of them. Fact #4: Sometimes, ignorance is bliss. If you’re writing for an expert audience — more likely to be the case with B2B businesses — you might want your writer to be an expert, too. It does boost credibility when the writer speaks the language and uses all of the latest buzzwords. But when the opposite is true — typically the case with B2C companies — too much knowledge can actually be a hindrance. A writer who’s an expert in the topic will have trouble anticipating the questions a lay audience would have. Let’s say you want a piece of content that educates home users on how to set up a VPN. A non-expert writer would be more likely to point out that the target audience might not even know what a VPN is or why they would need one. That’s the kind of question that keeps you from starting off way too far down the sales funnel. Experts have a tendency to think, “But everybody knows that!” The reality is: They don’t. PreviousSure, a full content strategy is ideal. But I live in the real world.